If you haven’t refreshed your digital marketing strategy in a while, chances are it is beginning to tell on your sales and revenue. Even if you haven’t noticed a drop there; however, there are other signs of trouble in your digital marketing strategy you should look out for. If plenty of people coming to your website, with not many of them buying something, it could mean your marketing message is wanting in some way. You may need to do some conversion rate optimization. When you perform such optimization, you’ll find out when your visitors are dropping off during the conversion process. You may find that maybe your forms are too difficult to fill up, or perhaps your product information is not clear. Doing A/B tests, you’ll find out how to pinpoint where exactly you are going wrong. If your ranking on Google has dropped, there are a few things you can do. You need to check the links on your site to make sure they work well, cross-link internal pages wherever you have a reason to do it, and use one of the various tools available to make sure each page on your website ranks for the keywords you need. If your SEO isn’t working, you need to rush to fix the problem before it gets out of hand. If you find there are lots of visitors bouncing off your website; coming, and then leaving immediately — chances are they are leaving because your site is taking too long to load. You need to look into speeding up your website and making it more responsive. 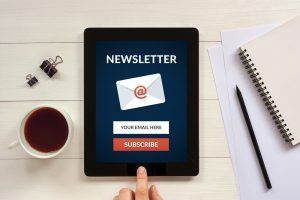 If there are people signing up for your newsletter with their email, it means you have a healthy offering and a good marketing message. Building that mailing list should be a priority. If you notice at any point your email sign-ups are dropping; however, it’s time to pay attention. It’s possible your landing pages are not effective, or your offerings are not interesting enough. You need to check to see if the email sign-up process works smoothly and if there are any links that have stopped working. You should also find out if there’s anything that doesn’t work well in the entire email nurturing system. If you’re investing in content, but it is ignored by visitors, it could be your content doesn’t touch upon the areas of interest relevant to them. You may need to do more research into your audience’s demands and preferences. There’s another possibility for why no one shows interest in your content. It could be your content isn’t ranking on Google. If people can’t find your content, they won’t click on it. To get found on Google, you’ll have to invest in SEO. If you’re effective with your marketing, you should find your name comes up every so often on the internet. You can set up a Google alert to receive a heads-up every time it finds a new mention of your company. You should also set up a media monitoring tool that tracks how many times you are mentioned each month. If you find you aren’t being mentioned often, you need to investigate. Answering to comments that may appear about your company, may be a way to kindle some interest. When you notice any one of these signs above that show you all is not well with your digital marketing strategy, you need to pay attention, and make changes. This way, you’ll catch the problem before it gets out of hand.